In November 1983, President Reagan signed legislation creating Martin Luther King, Jr. Day and it was first observed in 1986. At first, some states resisted observing the holiday as such, giving it alternative names or combining it with other holidays. It was officially observed in all 50 states for the first time in 2000. This holiday is celebrated on the 3rd Monday of January. It is a time for the nation to remember our nation's fight for the FREEDOM, EQUALITY and DIGNITY of ALL races and ALL peoples. 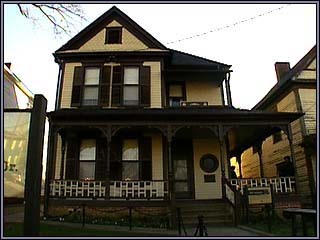 Dr. King was born on January 15, 1929 at 501 Auburn Ave., on the second floor of the Queen Anne-style house owned by his grandfather Mr. A.D. Williams. "I have the audacity to believe that people everywhere can have three meals a day for their tired bodies, education and culture for their spirits. I believe that what self-centered men have torn down, men other-centered can build up. I still believe that one day mankind will bow before the alters of God and be crowned triumphant over war and bloodshed, and non-violent redemptive goodwill will proclaim the rule of the land 'and the lion and the lamb shall lie down together and every man shall sit under his own vine and fig tree and none shall be afraid.' I still believe that we shall overcome." Dr. King was born in Atlanta, Georgia on January 15, 1929 to Alberta Williams King and Rev. Martin Luther King, Sr.
Dr. King decided to become a minister and delivered his first prepared sermon in his father's church, Ebenezer Baptist Church in Atlanta, at age 18. Dr. King married Coretta Scott on June 18, 1953.